Nora joined The City Law School as Lecturer in Law in 2016. She teaches Tort Law (LLB) and convenes Gender, Sexuality and Law and Law, Rights and Context (LLB). She is also the Postgraduate Assessments Officer. Prior to joining City, Nora was a Teaching Fellow and Sessional Lecturer at University of Reading, where she was the module convenor for Gender and Law (LLB) and Research in Gender and Law (LLM). She chaired the School's Family, Gender and Sexuality Research Group. During her time at Reading she also taught jurisprudence, international refugee law, public international law, human rights law, public law and tort law. In 2017, Nora was a Visiting Lecturer at the Henley Business School, running the Gender and Feminism at Work module. 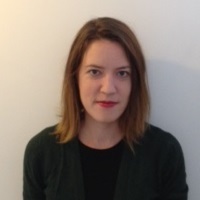 Nora's research interests lie primarily in the field of gender and law, particularly feminist and socio-legal approaches to public international law, refugee law and human rights law. Her PhD project "(Mis) Understanding Forced Marriages: International Law, Rights and Their Limits in Asylum Seeker Women's Cases" was funded by the Economic and Social Research Council (ESRC). Together with Flora Renz (Kent), Nora convenes the Gender, Sexuality and Law Stream at the Socio-Legal Studies Association Annual Conferences. Finnish (can read, write, speak and understand spoken). Honkala, (2018). Rights of Women Seeking Asylum: Procedural and Evidential Barriers to Protection. In Juss, S. (Ed. ), Research Handbook in International Refugee Law (Forthcoming) Elgar. Honkala, N. (2018). International Law and Human Rights. In Auchmuty, R. (Ed. ), Great Debates in Gender and Law Palgrave Macmillan. Honkala, N. (2018). Islam v Secretary of State for the Home Department, R v Immigration Appeal Tribunal and Another, ex parte Shah (1999). In Rackley, E. and Auchmuty, R. (Eds. ), Women's Legal Landmarks: Celebrating the History of Women and Law in the UK and Ireland Hart Publishing. Honkala, N. (2014). A feminist human rights perspective on the use of internal relocation by asylum adjudicators. Adjudicating International Human Rights: Essays in Honour of Sandy Ghandhi (pp. 148–166). Honkala, N. (2017). Forced Marriage Claims by Women Seeking Asylum at the Upper Tribunal. Women's Asylum News e bulletin for the Women's Project at Asylum Aid. Honkala, N. (2017). Gendered Political Opinion Ground in Forced Marriage Asylum Appeals. Social & Legal Studies Blog. Honkala, N. (2014). “As Forced Marriage Gets Criminalised in the UK- What then of Asylum Seeker Women Fleeing Forced Marriages?” Inherently Human: Critical Perspectives on Law, Gender and Sexuality..
Honkala, N. (2017). ‘She, of Course, Holds No Political Opinions’: Gendered Political Opinion Ground in Women’s Forced Marriage Asylum Claims. Social and Legal Studies, 26(2), pp. 166–187. doi:10.1177/0964663916681067 . ”An unhappy interlude”: Trivialisation of forced marriage in asylum seeker women’s cases. School of Law, Lancaster University (2016). (Mis) Understanding Forced Marriage - The Domestic Application of the Refugee Convention in Asylum Seeker Women's Claims in the UK. University of Uppsala, Sweden (2015). 'She, of course, holds no political opinions'- The Gendering of Politics and Asylum Adjudication". Robert Gordon University, Aberdeen (2014). Internal Relocation Option in Forced Marriage Asylum Appeals Cases- Why Gender Matters? Queen's University Belfast (2013). Obstacles to 'fair and just' decision-making at the first instance refugee determination process. University of Reading (2013). Gendered Judgments in Asylum Seeker Women's English Immigration and Asylum Cases. Honolulu, Hawaii (2012). Forced Marriage and the Rights of Asylum Seeker Women. University of Reading (2011). Uncovering Silences: The Role of Feminist Scholarship in Challenging Gendered Constructions in International Refugee Law. University of Leicester (2011). Uncovering Silences: The Role of Feminist Scholarship in Challenging Gendered Constructions in International Refugee Law. University of Westminster (2011). ESIL, 'Interest Group on Migration and Refugee Law', SLS, SLSA and PECANS.